The EVRA SO was removed from the maintenance facility after its final repaint and 55006 received some new exhauster belts before working the service tomorrow. A gloriously sunny and warm Sunday of the Teddy Bears Weekend had a pretty slow start but picked up well in the afternoon. The magician has been popular, has too has the fairground organ. The Catering teams have done well again with both the buffet and burgers fulfilling the needs of the public. We hosted the BBC for over an hour and a half this morning, filming the railway after the news of the grant earlier. The article should be on East Midlands Today during this evening's bulletin. It's Carnival day tomorrow and staff are reminded that there is no access to the bottom car park for motor vehicles all day and parking is firstly on the ballast dock. A beautiful warm sunny day in the Gem of the Peak which will hopefully roll on into the weekend for the Teddy Bears event and the Carnival. Final preparations were in full swing with the bear hunt being put out and various items being sorted out and prepared. Some last minute preparations were also being made in the catering department for their busy weekend ahead. Some items arrived for the Carnival on Monday. The Gents had a coat of paint on the inside of the door and also some more touching up done to the paintwork on the outside. That's about it really. Bring it on! Completely off piste! 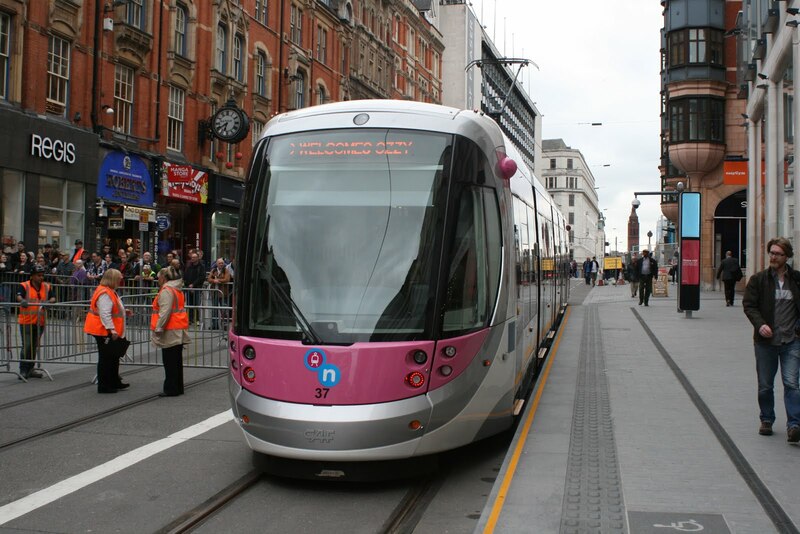 Ozzy Osbourne named at tram in Birmingham yesterday to celebrate the extension of the Midland Metro to Birminham New Street station. 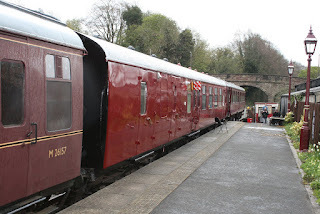 Today we hosted a group of retired people from Leicestershire who took a tea in the Pullman and a return to Duffield on 55006. They were very complementary about the whole set up and whilst they admired our trains, we admired their luxury brand new coach. The PW team were sleeper changing at Barnsley Lane and took a brief rest to let the charter past. There was a hive of activity at Wirksworth in preparation for the Teddy Bears Weekend (www.e-v-r.com/teddybears). The Cooke family positioned bears and put up gazebos and Ben tidied no end of rubbish from the back end of the car park ready for the Carnival. Sleepers were rearranged in neat piles, porta potties were removed, trailers stored properly and all sorts. The BSK kitchen was also prepared for it's role as a burger van this weekend. Yet another new trial but one which could be great, especially when it's very busy during Carnival time on Monday. Thanks to a very strong pitch to the Department for Transport lead by Eric Boultbee it has been announced that we are one of the 17 winners out of over 100 applicants. A tremendous achievement! 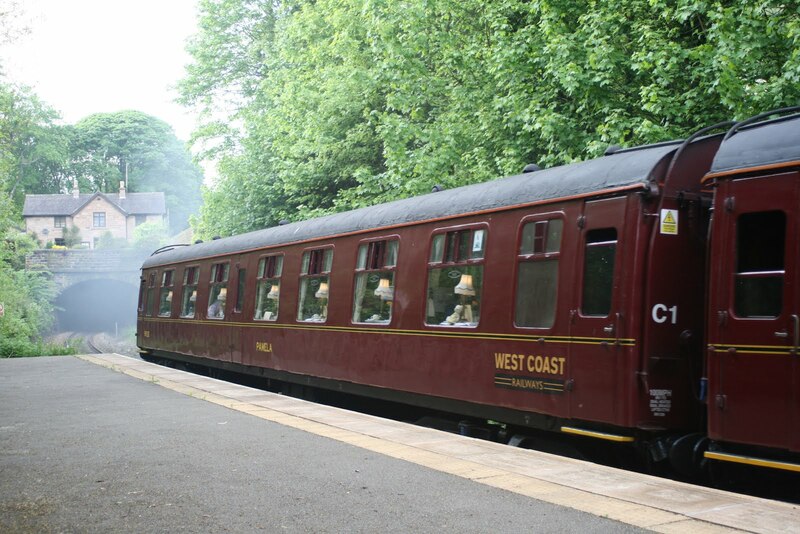 Ecclesbourne Valley Railway, Derbyshire: heritage railcar visitor experience - £74,500. 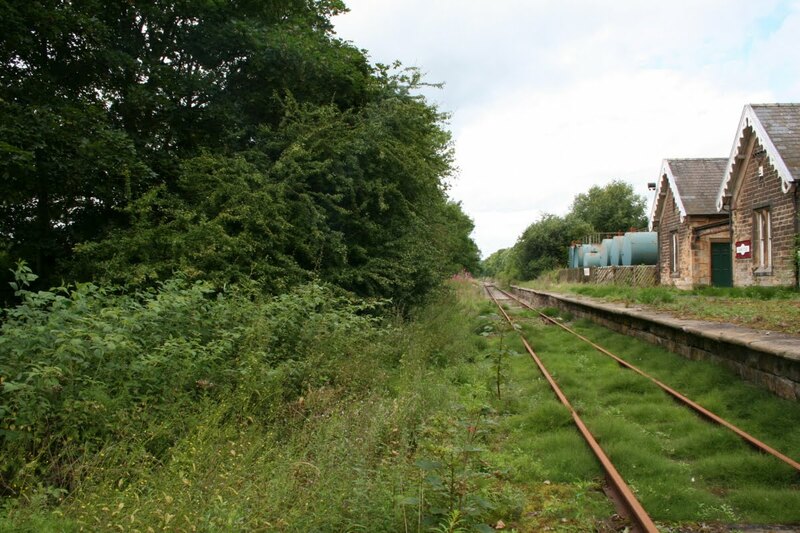 The project will convert an existing building into an innovative visitor centre, allowing people to see work being undertaken on the heritage fleet; track and signal enhancements allowing for increased train services; and provide targeted marketing and promotion. Not our Railway but close by. 34046 Braunton masquerading as 34052 Lord Dowding works the return excursion from Rowsley to Kings Cross through Whatstandwell yesterday. Friday! 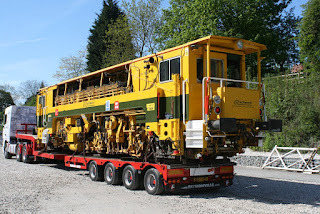 Today saw the completion of the tamper testing with it making a fairly early run down to Duffield to do round the curve there before coming back to Wirksworth to be loaded onto the flat bed for transporting. After this, Tony and Mick went back down the line and marked up several paint marker can fulls of sleepers for changing (OK not quite that many but some). 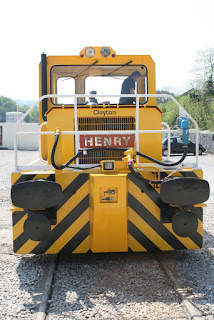 The duty fitter prepared and fuelled the trains for service over the coming week or so and also repositioned the 33. It was good to see a strong team of Station Foremen back today (I say strong referring merely to the fact that there was a good number of them). They're often unsung heroes doing the jobs that people often don't even think about, such as changing the broken toilet roll holder in the ladies or fitting a new toilet seat in the gents. They also fitted the new station clock on Platform 1 which happens to be double sided so you can see it walking down Platform 1 whichever side you happen to be walking down. They also repaired the office facia behind one of the platform lamps because the hole in the wood was found to be too inviting for wasps last season! The Catering Manager recharged his hotline after it was nearly flat under the weight of Afternoon Tea bookings. 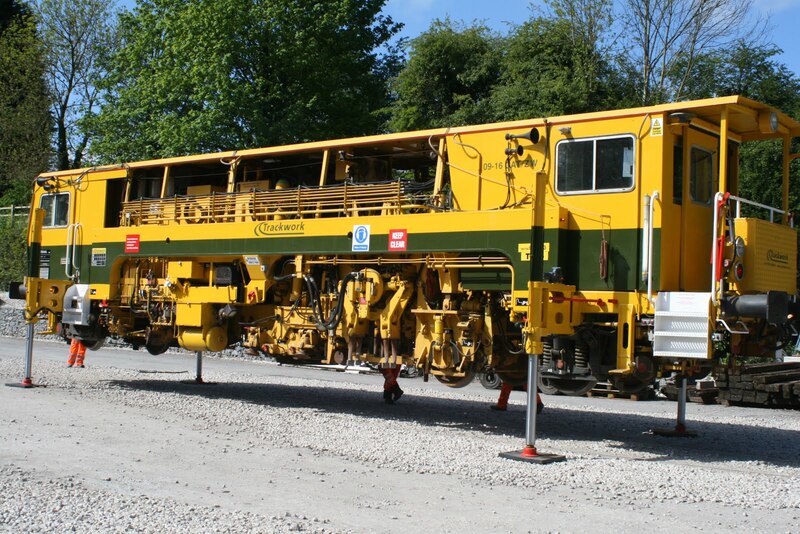 Our tamper departed this lunchtime having satisfactorily passed its vehicle acceptance tests to work on Network Rail and improved over 2 miles of our Railway in return for the facilities offered. The Trackwork team asked me to pass on their sincere thanks for all the help and encouragement given by the Permanent Way Team during the week. 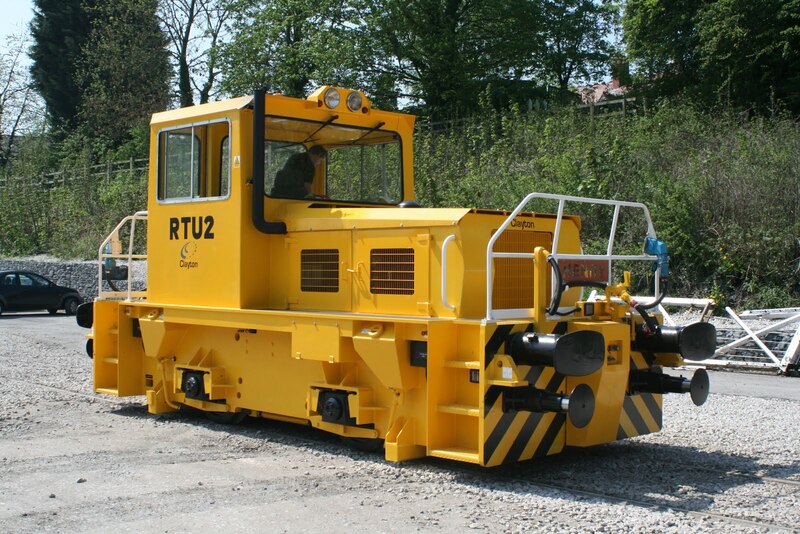 This week has built a splendid relationship with Trackwork Ltd. and we look set to welcome them back with more machines in the future. PS - to round off the visual week there was much action at Derby Midland Station last Sunday morning with a strong Great Western presence! It always amazes our MyTestTrack customers when they see the level of activity at Wirksworth. They're surprised a preserved railway has so much going on. Today we had three MyTestTrack customers on site all doing their various bits and bobs. The tamper that's on test managed 2000 meters today apparently which is about 1.2 ish miles in real length, with it's attention mostly around the Bournebrook Avenue/Rolands Crossing area. 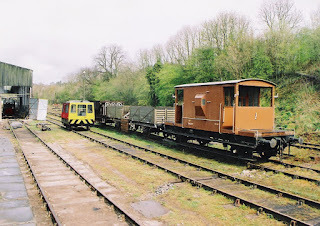 At Wirksworth, the throttle motors were cleaned and reset on one of the Met-Camms and some shunting was done, of course. The Commercial Dept had a meeting at the iPro Stadium this morning followed by starting to plan the Diesel Weekend in August. Promises to be a great event! Actually, Teddy Bears came up as well. The studio has been in mega production this week with a look at how our track is maintained with a little help from the Trackwork tamper. The PWT as shown moving ahead of the tamper filling sleeper bays that are a little short of white gold. The machine makes a pass over a section to be tamped to download the geometry of the track and then is able to pack and line as it progresses. 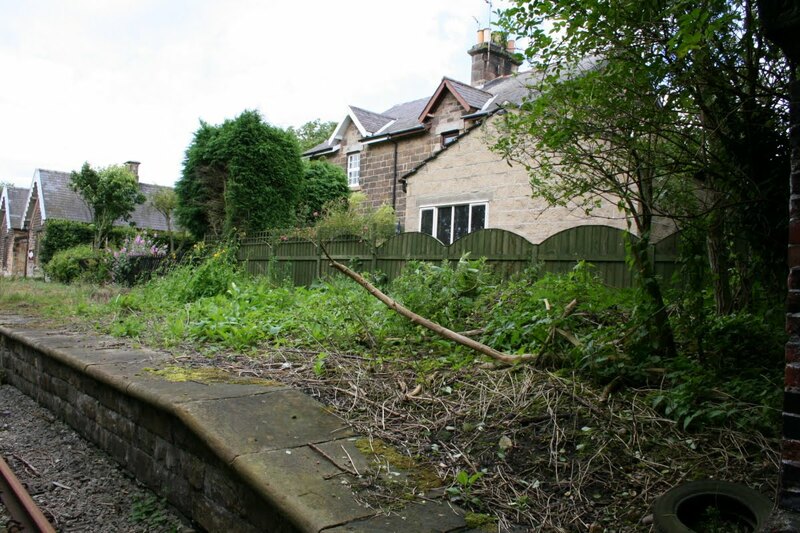 The pauses are to let manual intevention deal with sleepers that are slightly out of regular spacing. Wonderful stuff and a great help to our enterprise. Today's brunch and afternoon tea train looking good with four maroon coaches. Today's customer has devised a very clever solution to unloading and loading a tamper to and from road transport. The machine is with us for acceptance testing but has already undertaken half a mile of tamping south of Hazelwood for us! The Trackwork team were very ably looked after by Joe Marden and Mick Thomas. A small taste of a delightful weekend. Day one of our Multiple Memories weekend was an unqualified success as our railway played host to many DMU enthusiast from near and afar. 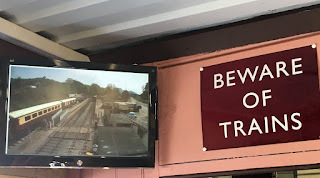 An varied number of train consist permutations ensured our visitors were entertained throughout the event which culminated in a 9-car train to Duffield this evening for fish and chips. All credit to our DMU team who's attention to planning and detail ensured the event ran to time and their period uniforms added to the authenticity of the occasions. Wirksworth station was a hive of activity today with the LMSCA, Derby Lightweight Group, The Duke Restoration Team and John Allsop all gainfully employed on their respective restoration projects. Today's gala was supported by the EVRA shop, model and narrow gauge railways and yard tours conducted by Richard and John. The Pullman Buffet was busy throughout the day catering for both the hordes of hungry visitors as well as a private party off the 11:46 Duffield service. Thanks go to everyone who contributed to the success of the day. Roll on tomorrow. >> An excellent day on the Branch Line Byways Photographic Event where we recreated scenes from the 1950s with Iris, 1960s with 55006 and the 1980s with the Class 119. The photographers all loved their day and we should get some fantastic photos. I attach a couple as a taster. >> Back at base the remaining duo fuelled and prepared the remaining units for the gala weekend this weekend. Just realised I had moved Henry to a fringe area of Manchester where the Navy would find it difficult to access - should be Devonport where it has spent its career! A locomotive that is rarely visible to the outside world as it spend all its working life in the Davenport Naval Base. 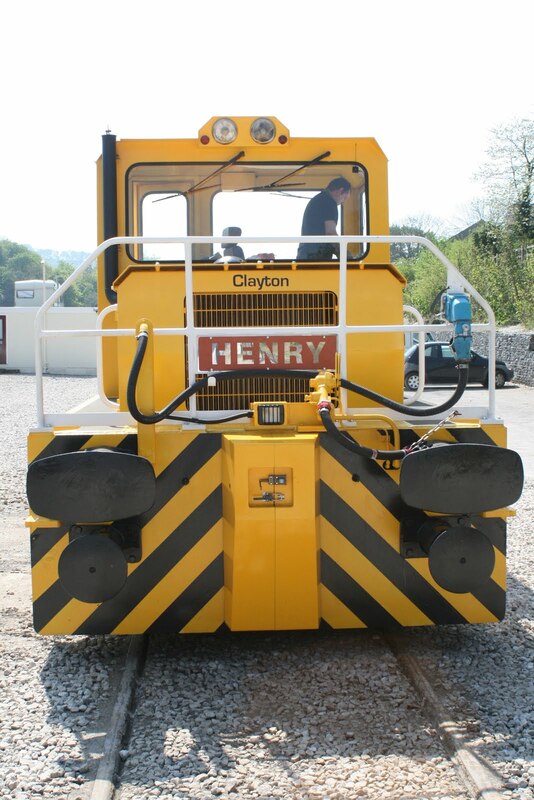 It is being tested at Wirksworth after overhaul and refurbishment by Clayton Equipment. It is always a busy week for the DMU team preparing for Multiple Memories this weekend. There are eight operational railcars and one centre car which all need washing, cleaning and fuelling. The LMSCA’s SK had its south end buckeye refurbished which should see it returned to traffic next week. Derek and Dan were literally soaked to the skin. One day trains may pass here! In fact they will this weekend. The photos are a great reminder of the work achieved at Shottle. As it was sunny yesterday here are some scenes from Tapton Junction. The lovely spring weather today helped bring out many visitors to our railway as Derbyshire's favourite branch line basked in glorious sunshine. Wirksworth station was a hive of activity as our volunteer workforce continued work on their respective projects which included, a new monitor being installed in the booking hall which provides staff with access to our CCTV cameras, the DMU spares coach (affectionately known as 'mar coach') receiving its final touches to its re-paint. Additionally the Duke's boiler inspection went extremely well with a schedule of works now in place to have the engine back in traffic for the start of the 2017 season. Carriage restoration too was evident with the LMSCA and EVRA teams in attendance. Today's mainline service was supported by the EVRA shop, miniature and model railways together with the Pullman Buffet. Richard and John conducted their increasingly popular yard tours and thanks go to the staff who at short notice, helped cover today's vacant third man position. 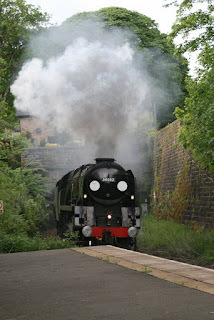 This evening the Railway's Charity held a steam charter to Duffield. Photos attached are of the new booking hall Video Display Unity and the newly painted DMU stores coach. It has been a pair of gloriously warm days in stark contrast to just a week ago. This has enabled Mk1 26157 to have a coat of varnish no problem and come out of the shed for vacuum cylinder repairs. Preparations for next weeks DMU Gala continued too with some mechanical bits and bobs as well as bodyside washing. The PW team managed to finish off most of their affairs in the Hazelwood area. This has been a project to move a rail joint from on top of a culvert outside the former station building and relay the track in the process. A meeting of Duffield Booking Office clerk's was held at Duffield in the sunshine yesterday to talk about progress and bring everybody up to date. We hosted two MyTestTrack customers yesterday testing their respective vehicles with success. 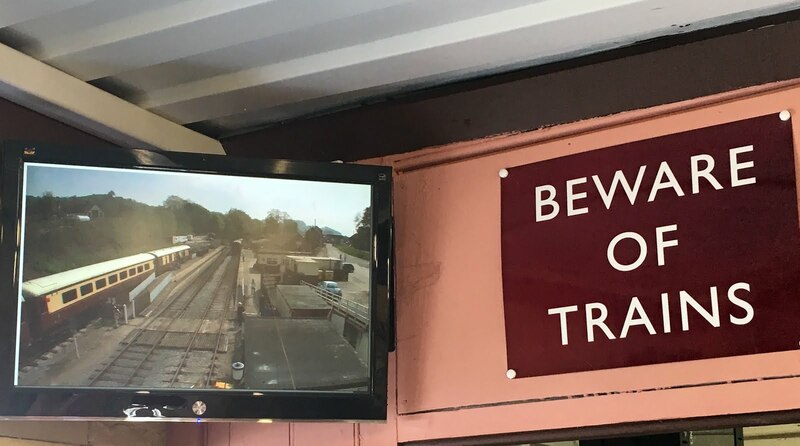 Most of the progress was down the line today, both from the PW team who were working at Hazelwood and for the Duffield Booking Office team who were installing windows and working on pathways. Probably a good job really because Wirksworth was like a sunny and warm... ghost town. The ladies toilet had a new light fitting and some testing was done on Henry Ellison following a repair yesterday. The first wagon to arrive on our Railway has left us for pastures new. The wagon was bought by Martin Bromley who also provided Faraday for our use and these remained the only mobile plant for quite some time. 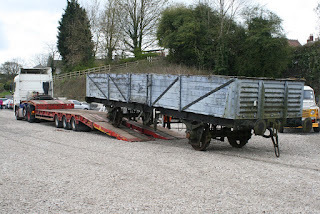 I found a photo of the Tube Wagon with two subsequent vehicles provided by Martin, a Brake Van and Dogfish ballast wagon at Wirksworth together with a small people carrier donated by Balfour Beatty. This was named Dougal after the Magic Roundabout character as it could be rotated on is own axis. 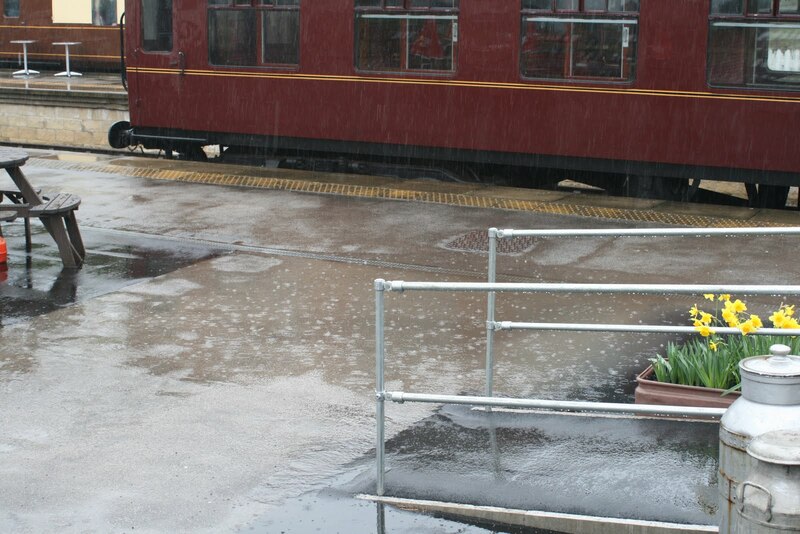 The photos show the nucleus of the Afternoon Tea train with the BSK(K) gleaming in the rain which was quite vicious during the day. Two videos for you one showing the terrible effects of Coca Cola and the other showing that the show goes on despite the weather. Well not a bad end to what has been a pretty reasonable Bank Holiday Weekend, despite the best efforts of the weather to poop on the parade. This weekend is a tie up with our friends at the Steeple Grange Light Railway who are also in Wirksworth and the event couldn't be successful without their input as well, so thank you to them. Also thank you to Geoff who provided a heritage bus on two days as a shuttle to and from Steeplehouse. 55006 operated the incline today to ensure the continuation of service so thank you for the driver who stepped in at short notice. Lots of train movements today which has been a theme throughout the last few days. 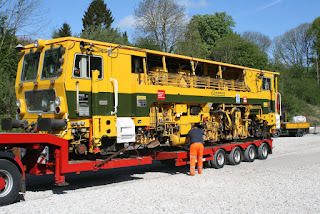 It is all mostly to do with preparing for the locomotive hauled trains which start on Tuesdays from tomorrow. Alot of hard work has gone in over the weekend to ensure that the kitchen car is fit to run and that a set of vehicles is together for use tomorrow. We were hoping to start our new brunch service tomorrow but I don't think this is quite going to happen but hopefully next week we can offer that new service. 33103 "Swordfish" is rostered to work all 4 return trains tomorrow for those of you who are interested in that sort of thing. 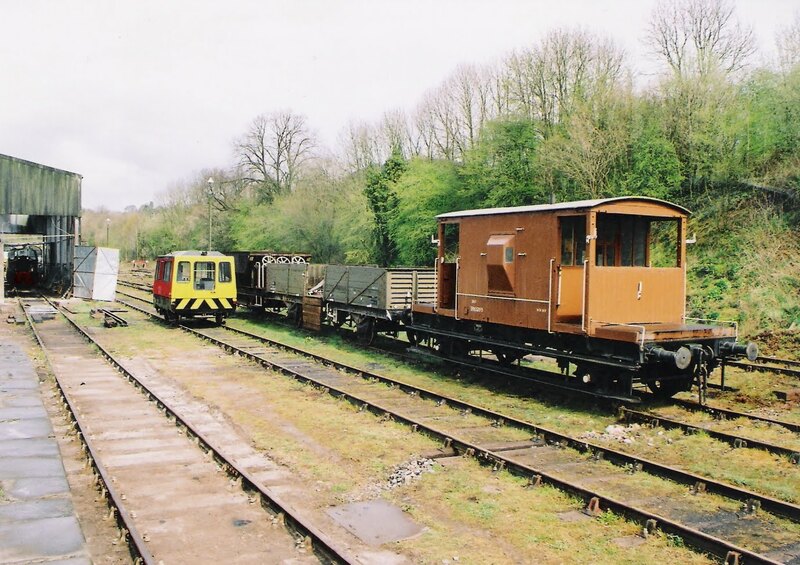 One team changed a buffer on Box Van Johnie today and tested the vacuum on the vehicle to ensure that it is also fit to run at the Multiple Memories By Gone Branchlines photographic event next Friday. If anybody would like to book on to this special day or just look at the timetable for the event then it can be viewed by clicking here. Typical bank holiday weather descended up Wirksworth today as we experienced all four seasons in the space of an hour. However the early morning sunshine had brought out our visitors with excellent passenger loadings on the first Duffield service. We had an early start today with the DST playing host to a footplate experience and the DMU team providing an early morning Scout charter to Ravenstor. At Wirksworth Station the scheduled Duffield service was supported by the model, miniature and narrow gauge railways, the regular steam service proved very popular with the new timetable offering more opportunities for the visiting public to meet and chat with the steam crew as well as enjoy the benefit of Richard's historical knowledge as he continued his narrative about the history of our railway on the platform at Ravenstor station as well as conducting his popular yard tours. Our colleagues from Steeple Grange light railway also met passengers at Ravenstor providing fascinating insight into local quarrying as they journeyed to the light railway. A worthy addition to the Rock & Rails event was Jeff Clarke's heritage bus providing an alternative service between Wirksworth Station and Steeple Grange Light Railway. The DMU team were kept busy with a mammoth shunt involving lots of coaching stock as we prepare for our Tuesday loco hauled afternoon tea service. Down the yard the LMSCA and Oak's Enterprises were busy on their respective projects. The EVRA Shop and Brick-a-brack were busy as too was the Pullman Buffet staff who were perpetually on the go with emergency stock replenishment required before tomorrow's hungry hordes descend. All in all a very satisfactory start to the weekend.